It’s been a long day at the summer job, and, I must say, dancers are some of the most meticulous people I’ve ever met. Despite the sometimes tiring commute, I’ve been enjoying working in San Francisco, albeit for a short time. I’ve met up with friends, and eaten some delicious food, so it’s all quite worth it. Today’s (rather late) Five Things is entirely reflective of all the things I love: delicious food, beautiful flowers, the city, and a little Audrey Hepburn for good measure. Combine these things and you have….me. In a nutshell. One of my favorite lunch spots in downtown SF is undoubtedly Bamboo Asia. Imagine the Chipotle business model, but set up to represent a variety of Asian cultures: Vietnamese, Japanese, and Indian. Pick a station and enjoy! 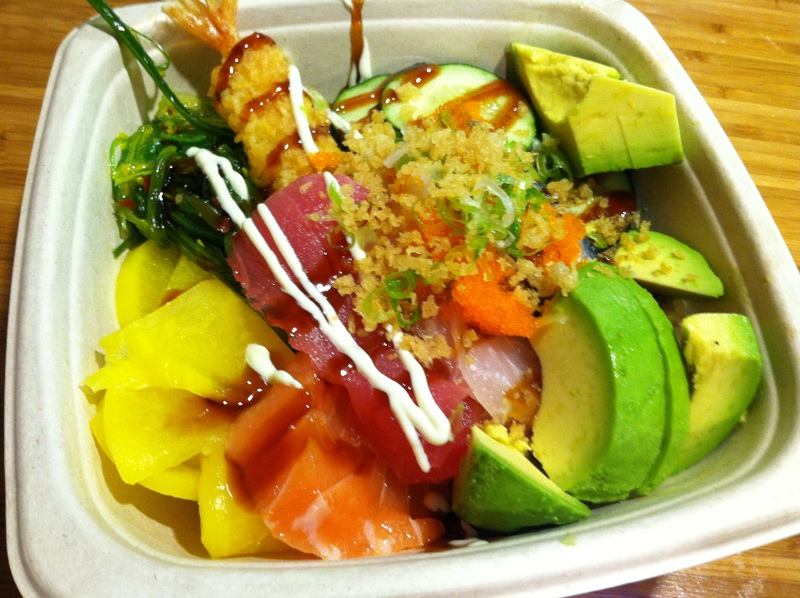 My favorites are the rainbow-colored sushi bowls. 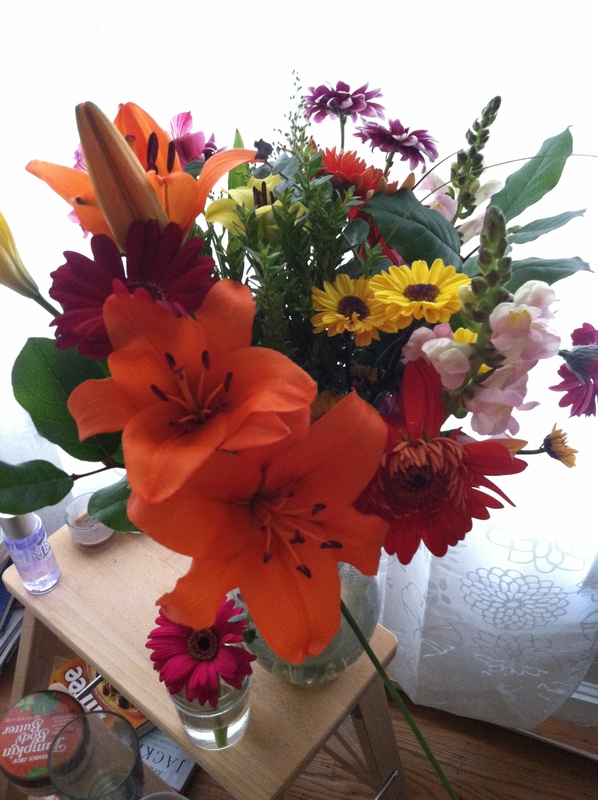 After 10 days, my beautiful flowers from our “Big Show” are still going strong. They’re such a nice sight to wake up to. I’ve been taking the ferry directly into San Francisco these days. I bet you that the views on my commute are better than yours! One could get used to this. 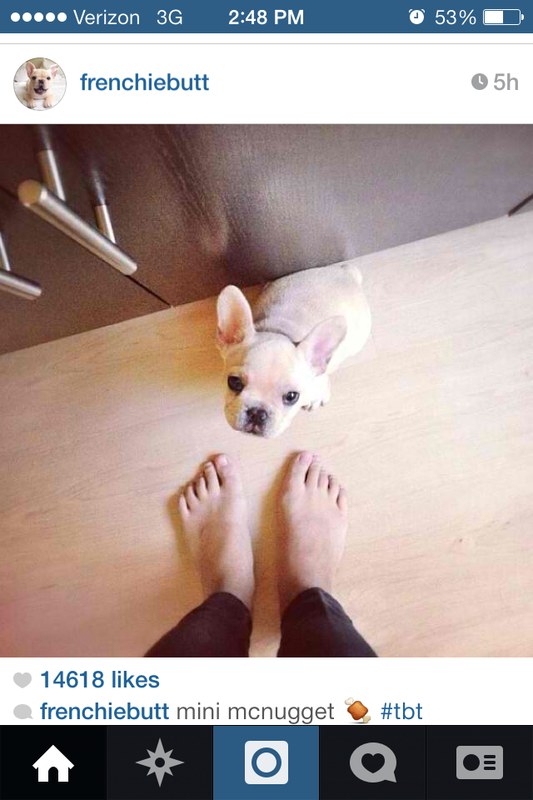 I recently discovered Frenchiebutt on Instagram. Should this peanut of a dog ever be available for adoption, I’m taking the first flight out to Seattle ASAP. What a sweet face! As some of you may know, Breakfast at Tiffany’s is my favorite movie of all time. I’ve made it a tradition of mine to watch it every year for my birthday since my 17th. 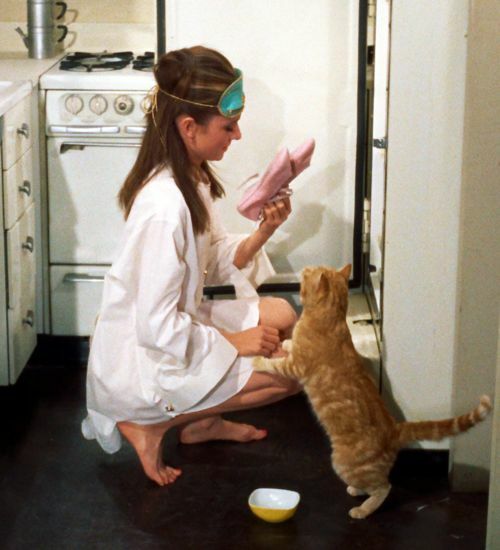 I imagine if my alter ego ever did move to New York, she would be something like Holly Golightly: drinking milk from champagne flutes and storing her ballet slippers in the ‘fridge.